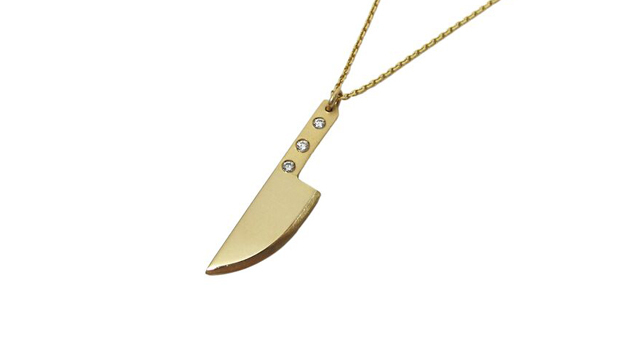 This style of chef knife necklace had been in the Metal Sugar family for years, but we were asked to "soup" it up in 14k yellow gold and add gorgeous white diamonds to the handle. There is an almost real knife edge and we matted the handle as well. The chain is a diamond cut cable chain which pairs perfectly with the knife.